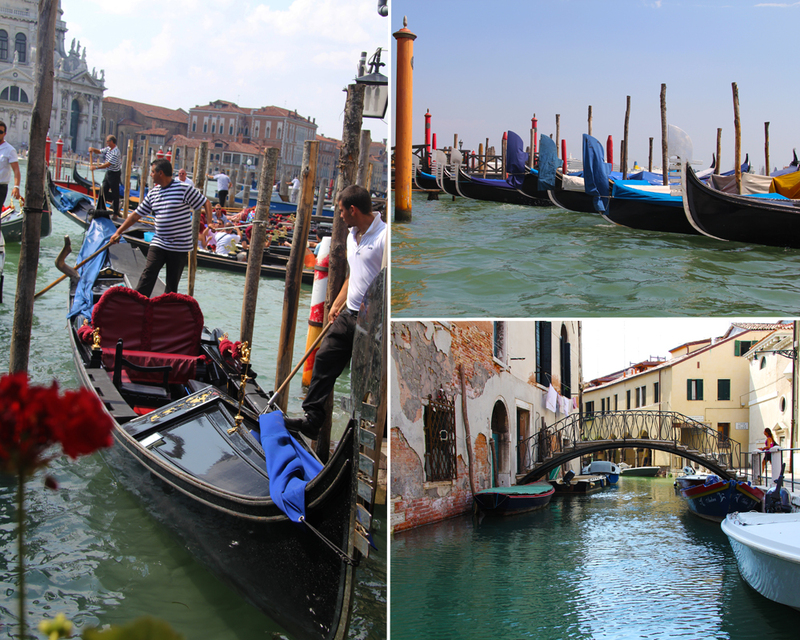 The best way to see Venice is to get lost in it – I have heard this saying before and I can stamp my vote of approval on it. There is nothing boring or tiring about aimlessly walking through the side streets of Venice, admiring the colourful facades of the houses. Yes, if you are a single traveller, the hoards of couples might irk you. That being said, I went travelling solo in Venice and I enjoyed being in love with the city, the food and the friendly people. Speaking of food, Venice – and all of Italy – is heaven for vegetarians. Italian cuisine is very veggie-friendly and if you are gelato fan, be prepared to put on some pounds during your visit here. If I wasn’t continuously paranoid about getting pick-pocketed, Barcelona would have been higher on my list. It might even have been number one since it has everything that excites the traveller in me: good beaches, excellent architecture, history, exciting nightlife and delicious food. Maybe not the most vegetarian-friendly cuisine, but when you do get your hands on a veggie paella… oh boy! 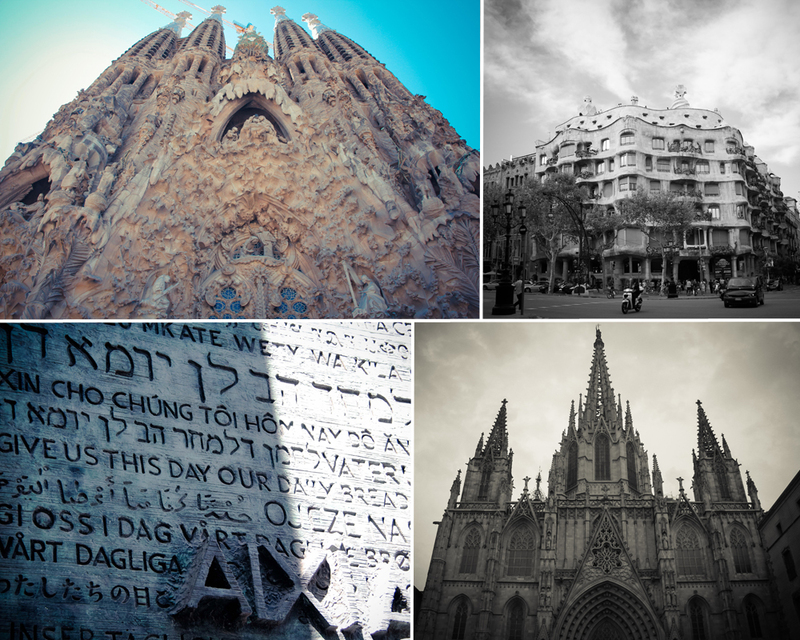 Gaudi’s work was definitely one of my favourite things to see in Barcelona. Sagrada Familia is grander and Parc Guell more colourful than any picture can do justice (but, I still tried as you can see here). The Latin Quarter is quintessentially ‘European’. The beaches are always bustling and the nightclubs are bumping (only after 2 am though!). 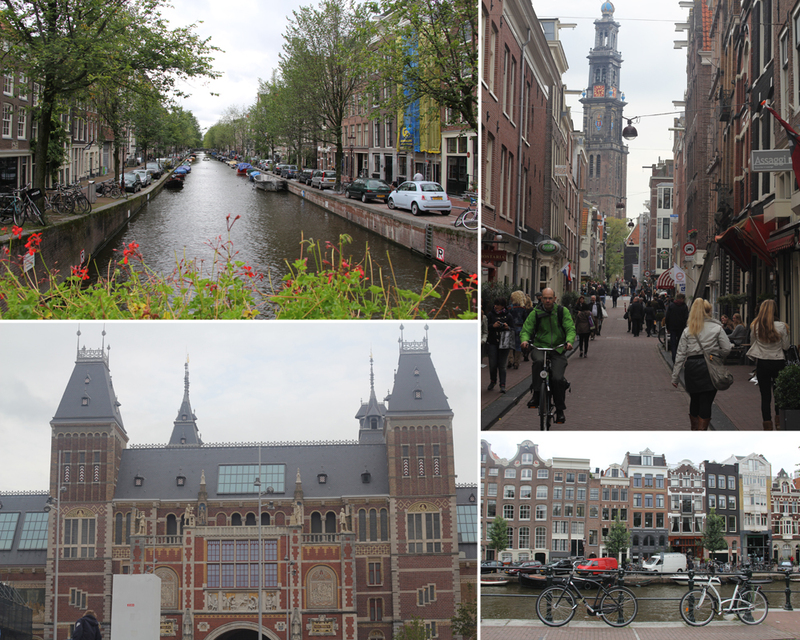 I recently visited Amsterdam last month, and I am glad I compiled this list after the fact. Amsterdam is hands-down one of the prettiest cities I have ever been to. The canals of Venice meet the sophistication of Copenhagen to create this love child. You can pick up your camera and point it anywhere for a good picture. You can walk around the city (carefully avoiding ruthless bikers) looking for the prettiest building or the cutest corner and there will be a better one in the next block. The patio culture and the personality-laden bars are another plus. I’ll admit I have a soft spot for window shopping and I really enjoyed the boutiques and stores in Amsterdam. The Dutch have an effortlessly fabulous sense of style and one can get easily inspired by it. Yes, Amsterdam also gets a bit of a naughty reputation for its Red Light District and “Coffee shop” culture, but neither of them interfere with the cool Northern European vibe of this city. Avoid these places, or take advantage of them if you want to, Amsterdam has something for everyone. J’aime Paris! J’adore! Paris is magnifique. For a long time, it was my favourite city in Europe – another point of contention for a chunk of tourists who are rather underwhelmed by this city. Before going to Paris, I had heard stories from friends who had longed to visit all their lives and were sorely disappointed by their experiences. Complaints are usually along the lines of “it smelled bad” or “it was too crowded” or “the people are snobby.” All of these are true allegations, but as soon as you overlook them and allow yourself to fall in love with Paris, you’ll be swept off your feet. Just the fact that I can go to the Louvre, Champs Elysees, Eiffel Tower, Notre Dame and Arc de Triomph in one day is enough to blow my mind. Throw in a couple of baguettes and macaroons, and I am a happy girl. 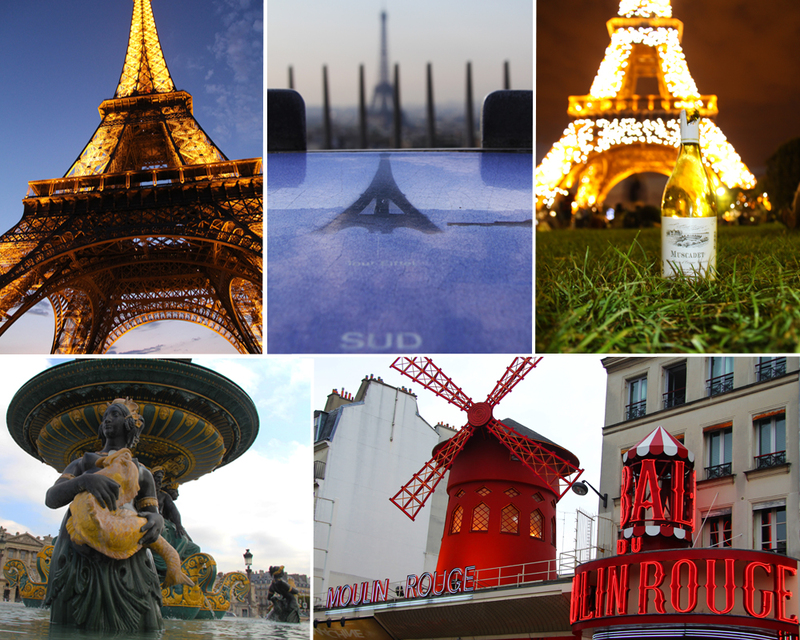 Art, history, culture, style: Paris, in my opinion, has everything! After all, there must be a reason why 82 million people visit this city every year. The entire time I was in Paris, there was a little violin playing behind my ear as I frolicked through the city, wanting to learn French. I am not sure if I can live in Paris, but it’s definitely my favourite holiday destination. In the famous words of Audrey Hepburn, Paris is always a good idea. I may be biased because I live in London (but then again, this whole post is a collection of my likes and biases). The first time I came to London, I was 11. Big Ben, Tower Bridge, Buckingham Palace, St. Paul’s, Madame Tussaud’s… I remember visiting all the iconic touristy spots in the city and being wowed by them. Almost ten years later, I came back and discovered some new places in London: South Bank, Camden, Tate Modern, Globe Theatre and many others. I am pretty sure I decided in 2011 that one day I was going to move to this city. Lo and behold, here I am! Speed-walking everywhere, cursing the Tube everyday, almost getting run over by merciless drivers, and loving every minute of it. London is crazy, but good crazy. Regardless of how diverse or bizarre your interests are, you’ll find something to do in this city. The cafe culture is thriving, there are more bars than one could possibly imagine, and between farmers markets and celebrity restaurants, you’ll always have a full belly. A stunning line up of museums and galleries will be your culture fix. And you can also go check out a sporting event or two. I thought that maybe after I started living in London, I would not be as charmed by it. But, I am still thoroughly infatuated. 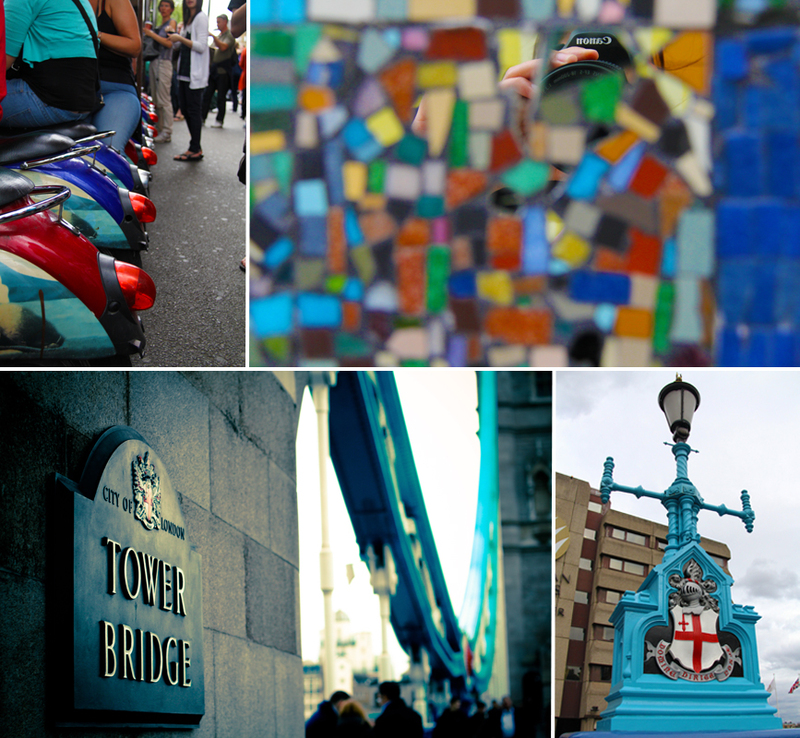 Tourist destination, quick stopover or ‘home’ – London is definitely going to remain my number one for a while. What are some of your favourites in Europe? Let me know in the comments below.